Use a sharp knife to score across the duck breasts 4 times through the skin and fat but just barely to the meat. Rub the skin with salt and black pepper. Remove the duck breasts from the pan and cover with foil to keep warm. Remove excess fat from the pan. Add the stock, honey, soy sauce, ginger, bbq sauce, and lime juice to the pan. Stir the sauce over high heat, bring to a boil and cook until the sauce thickens, about 2 minutes. 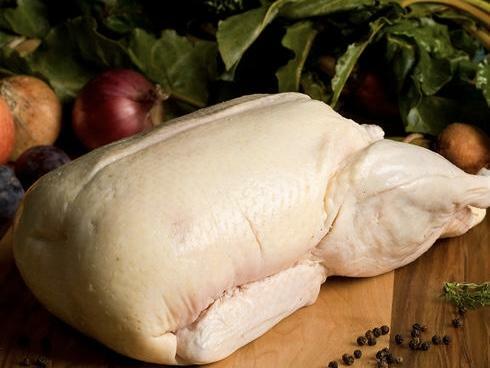 Slice the duck breasts thinly, and serve on a bed of rice.